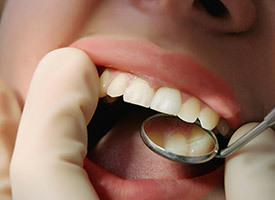 Periodontal disease or gum disease is an infection of the tissues and bones that surround and support the teeth. There are two stages of periodontal disease. The first stage is known as gingivitis. In this stage, the gums are red, swollen and may bleed when you brush your teeth. 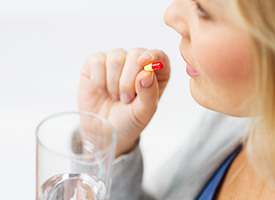 Since there is typically no pain at this stage, patients rarely seek treatment. In the more advanced stage, known as periodontitis, the gums will begin to pull away from the teeth, leaving deep pockets where bacteria can grow and cause damage to the bone that surrounds the teeth. Teeth may also loosen and fall out at this stage. 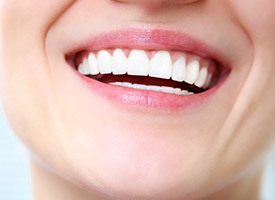 Why Choose Robison Dental Group for Periodontal Therapy? Depending on the advancement of the infection, you have several options for treating gum disease. In the earliest stages, gum disease can be reversed by brushing and flossing your teeth daily and getting regular dental cleanings. 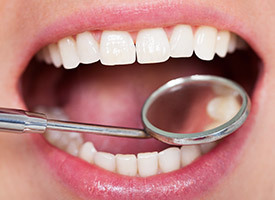 If the infection is more advanced, you may need to get a dental cleaning using a method called root planing and scaling. This will remove the plaque and tartar buildup both above and below the gum line. For the most severe cases, surgery may be required to repair the damage from periodontitis. Pocket or flap surgery is recommended when your gums have almost pulled completely away from your teeth, forming pockets that are too deep to be kept clean. The gum tissue is folded back to remove any bacteria before securing the tissue for a snug fit around your teeth. If you have pocket reduction surgery, you might also need tissue or bone grafts to encourage the regeneration of gum tissue and bone that has been destroyed by periodontitis. Our team may also choose to apply a topical antibiotic to the gums so we can eliminate any bacteria hidden deep within periodontal pockets. On the gums, this medicine will quickly dry, and then it will dissolve over the next few days, enabling it to reach and kill any leftover bacteria. Afterward, we’ll recommend that a patient receive regular dental cleanings every three to four months to ensure that the infection doesn’t come back. It’s vitally important to have gum disease diagnosed and treated early to avoid tooth loss and surgery. If you have gum disease symptoms, call today to make an appointment with us to start your treatment. If you believe you might be suffering from gum disease, please call 734-453-4530 for an appointment.